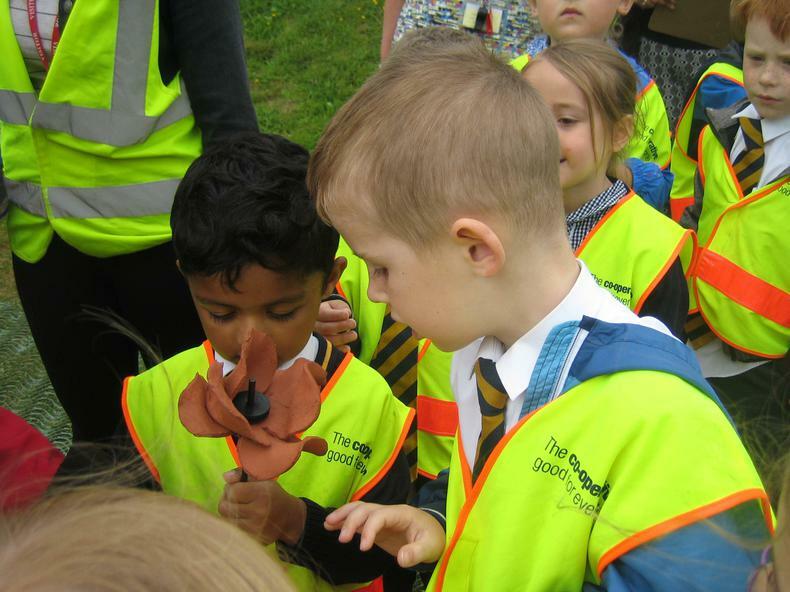 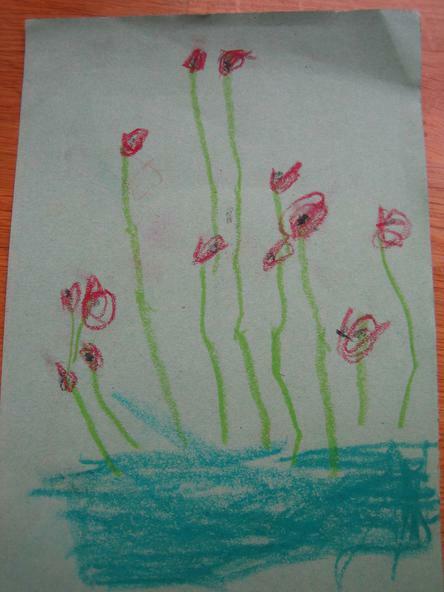 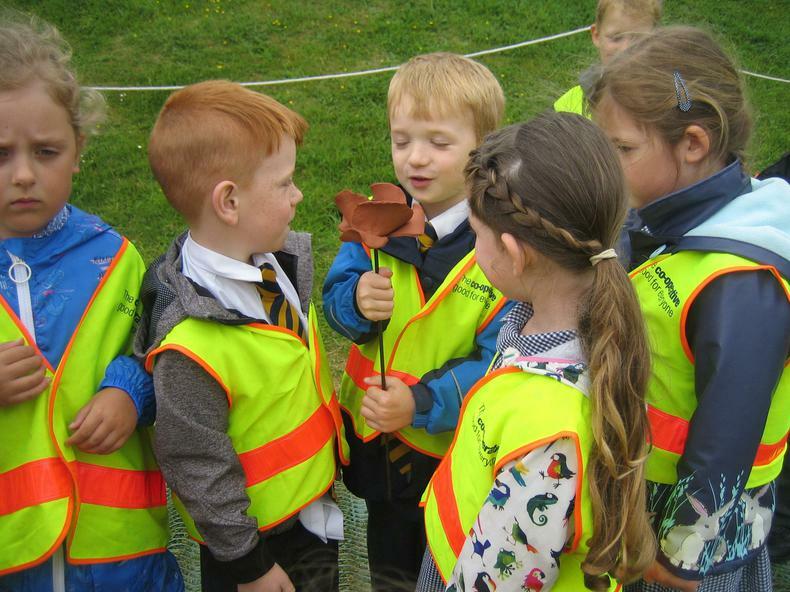 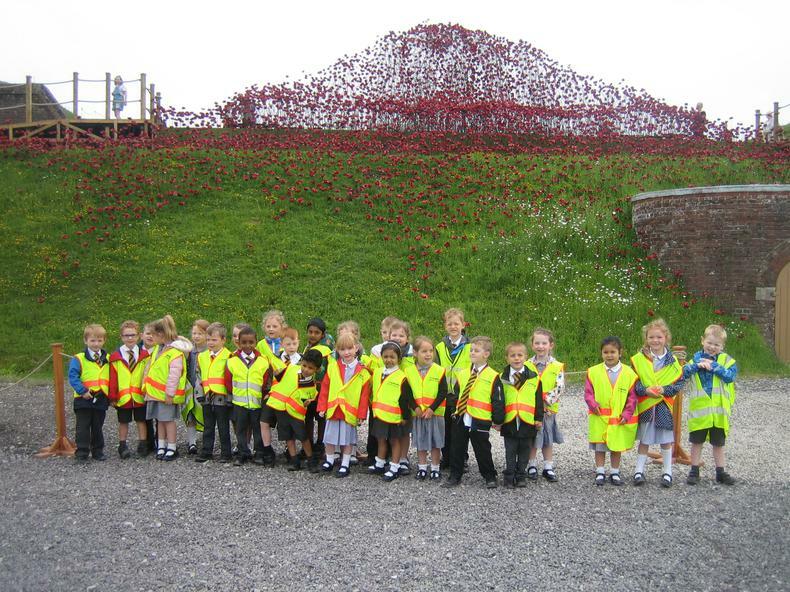 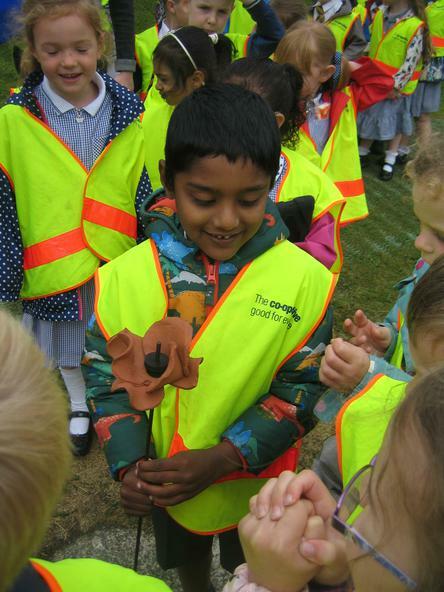 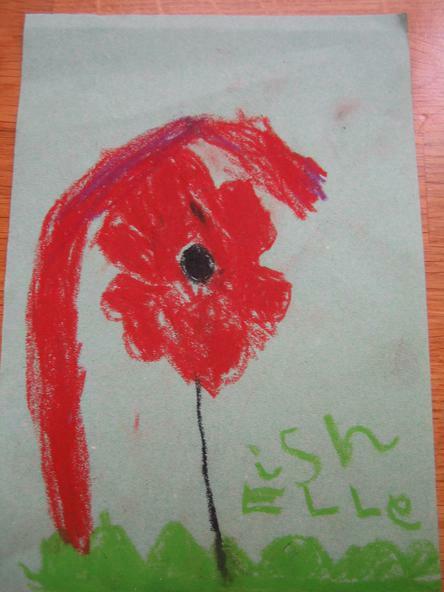 On Friday the Reception Class went to Fort Nelson to see the Poppy Wave. 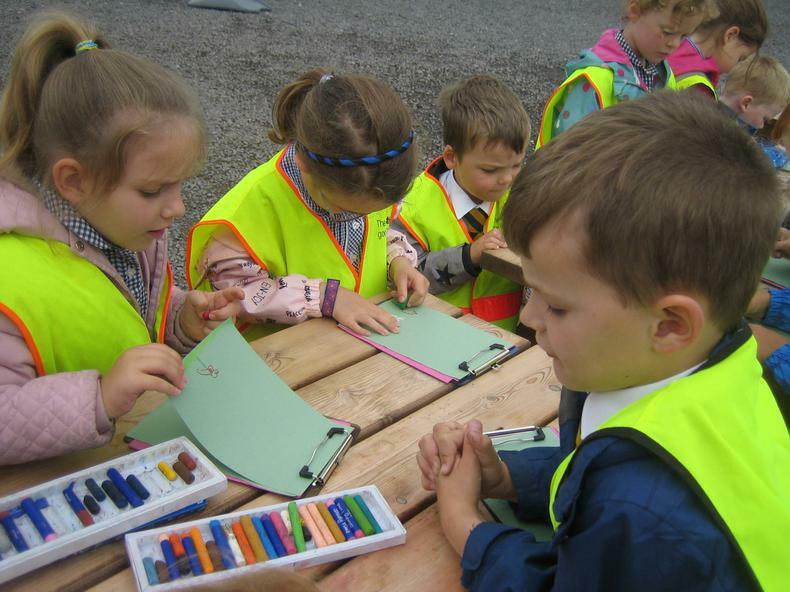 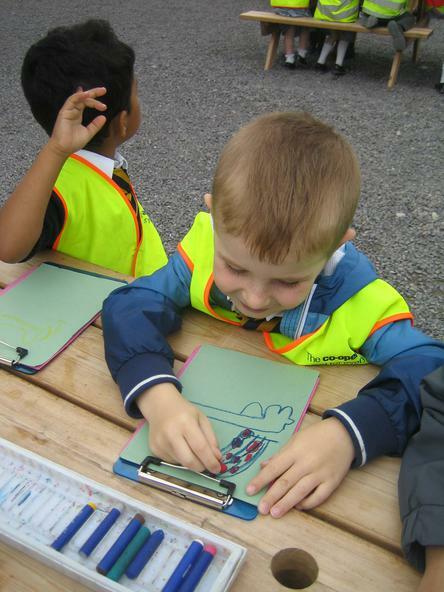 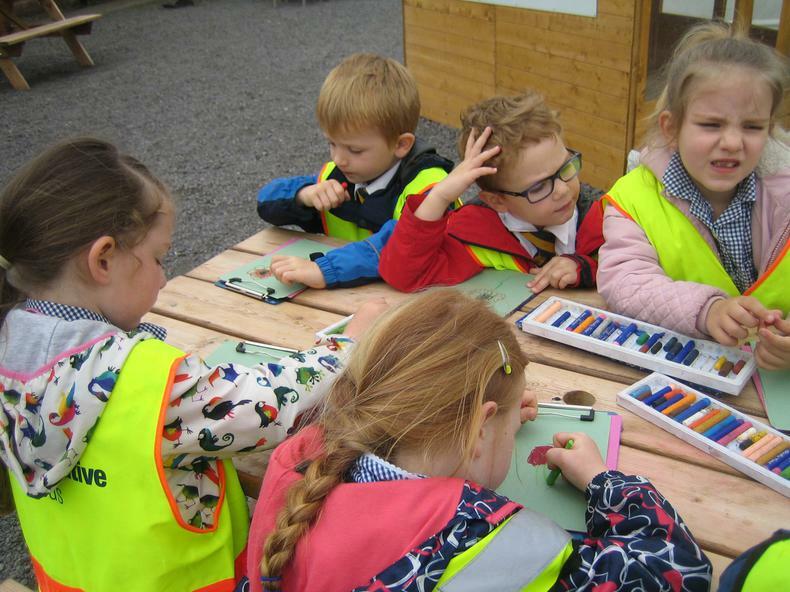 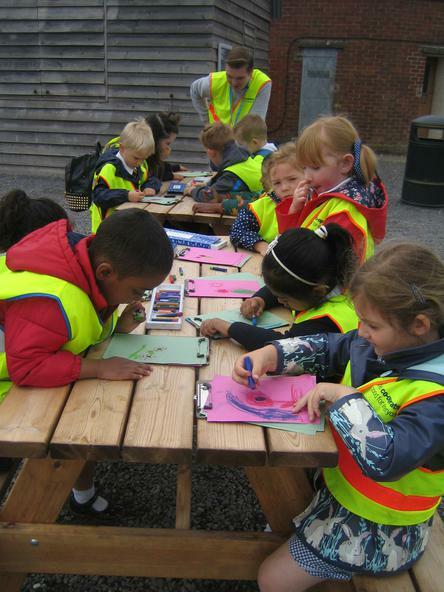 We had a fantastic time and the children were amazed by what they saw. 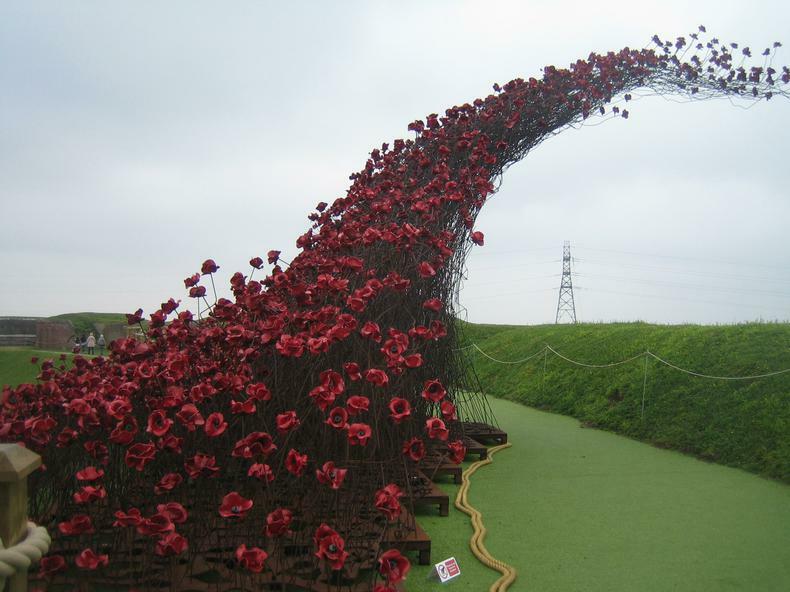 They all loved seeing it from different places - even standing underneath it. 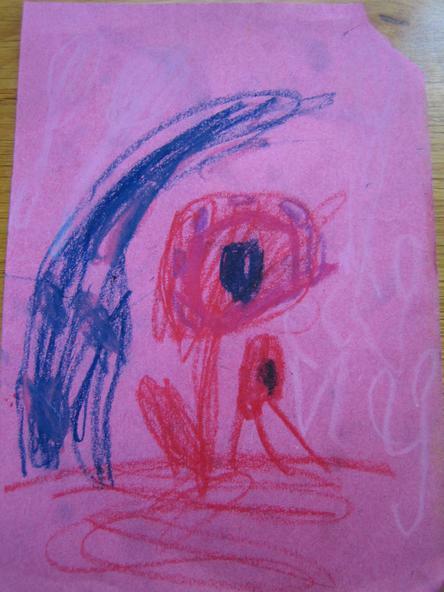 "It's like being under an umbrella" said Leila, "or underwater" added Malachi. 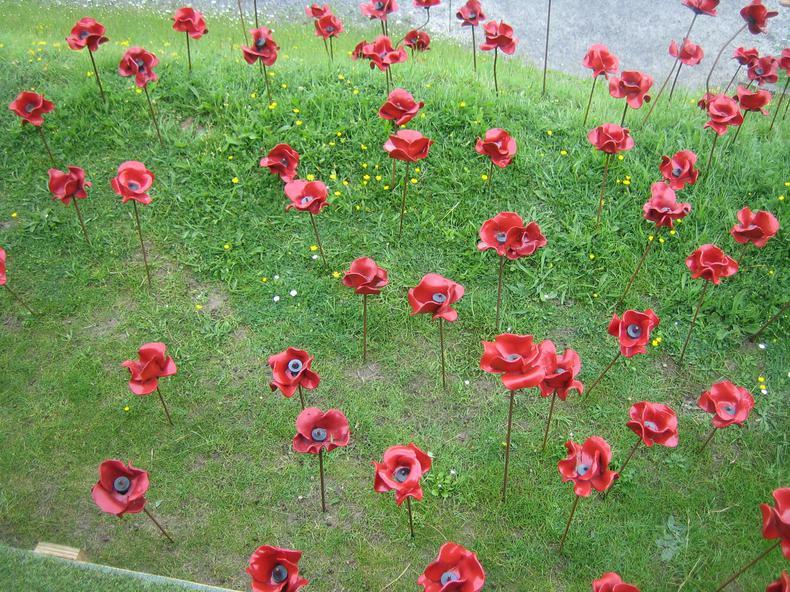 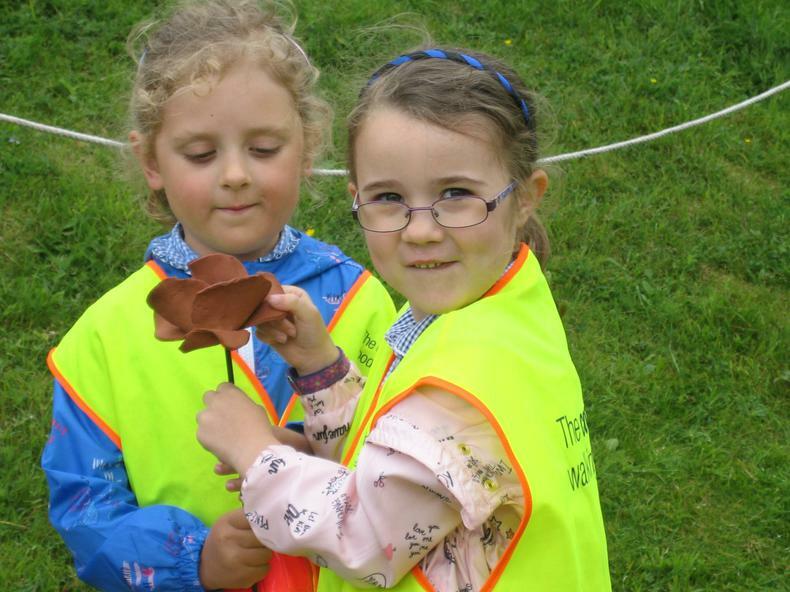 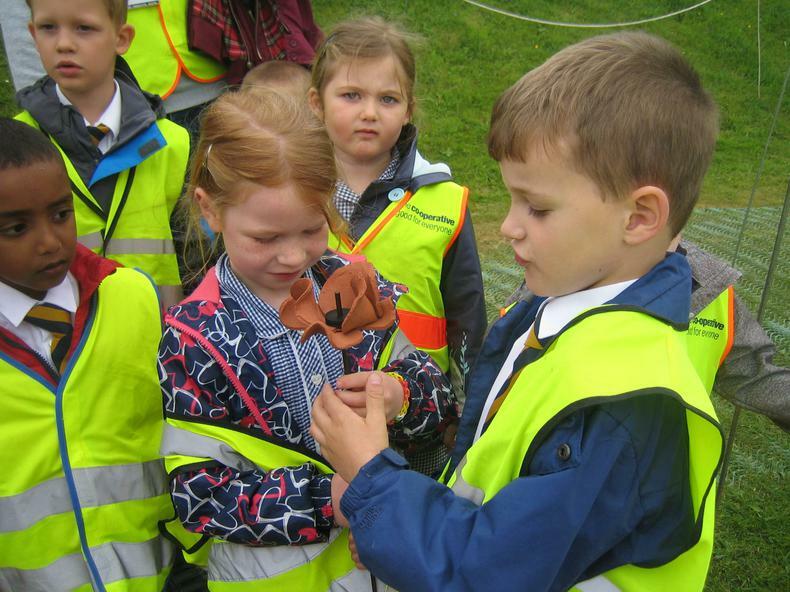 They were very careful especially when they were allowed to touch and hold the unglazed poppy. 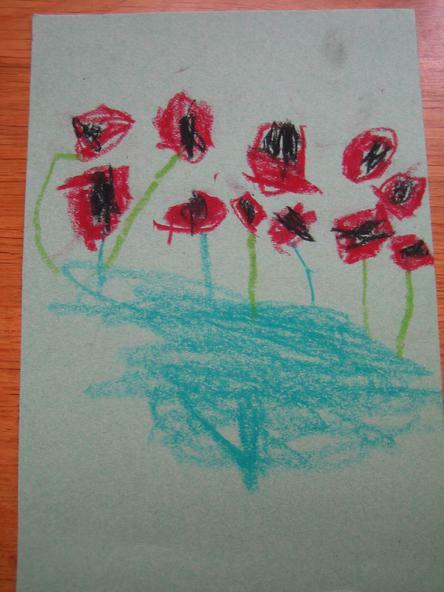 We talked about how many poppies there were and how they each represented a soldier who had died. 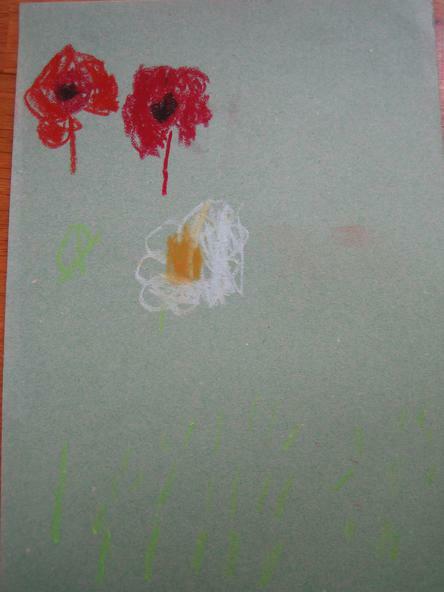 "There should be infinity, because there's always a war going on somewhere in the world" said John. 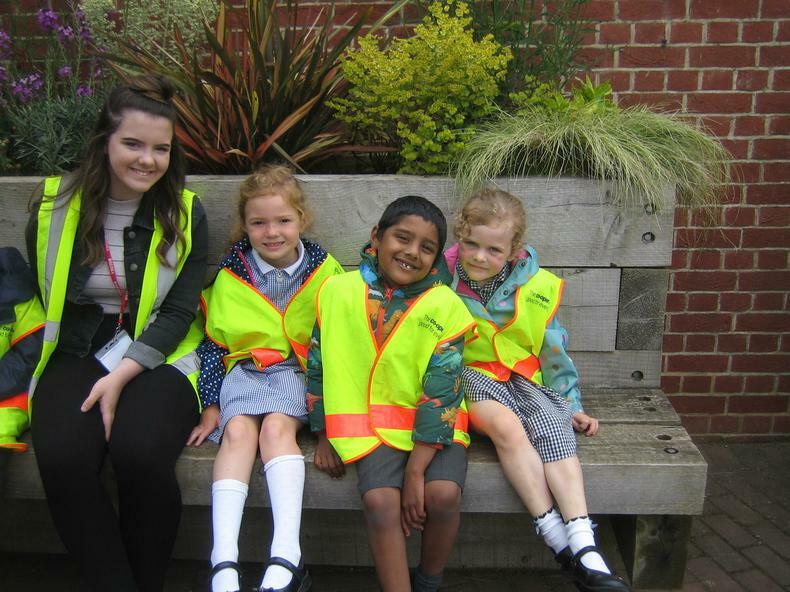 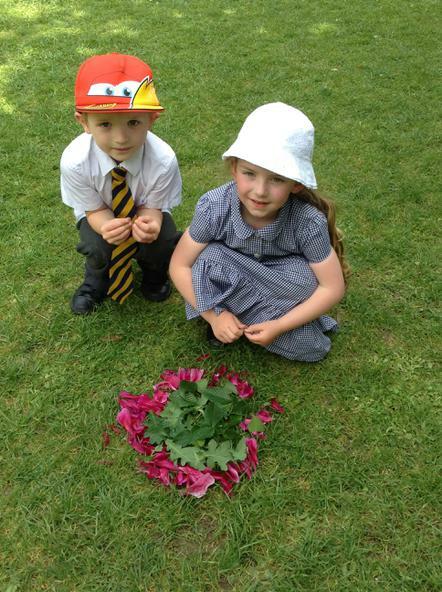 The children can be really proud of themselves - they were so well behaved. 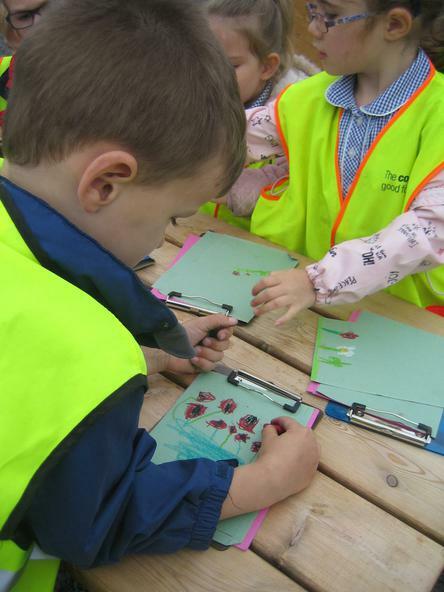 Before we arrived back at school a member of the public had phoned to say how impressed they were with the children's behaviour that morning at Fort Nelson! 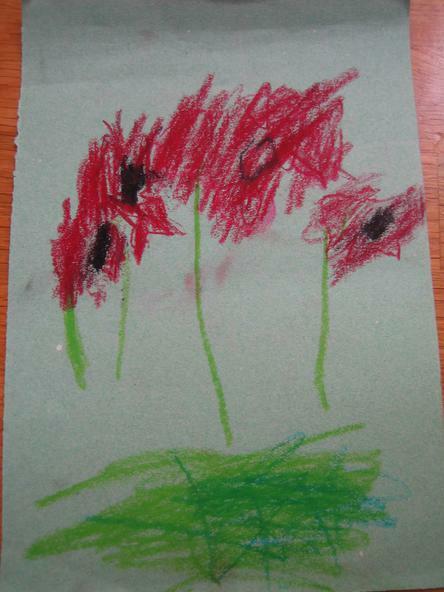 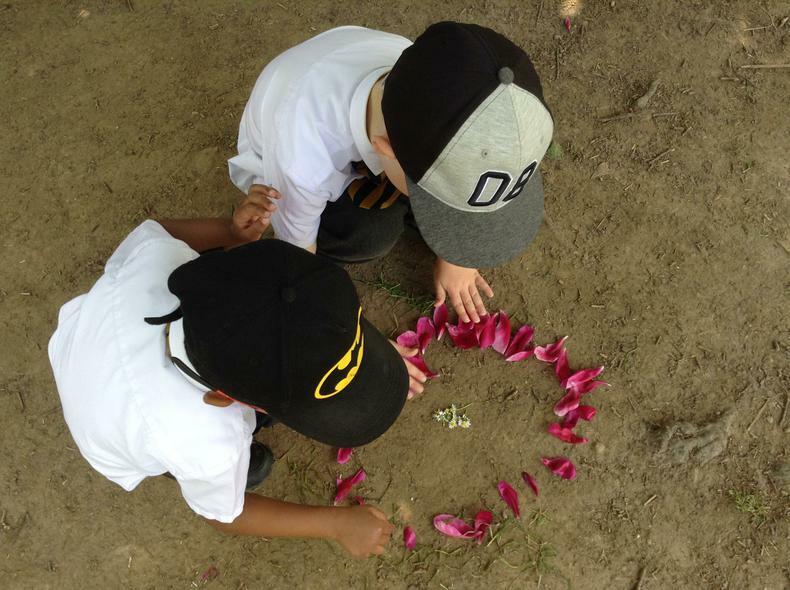 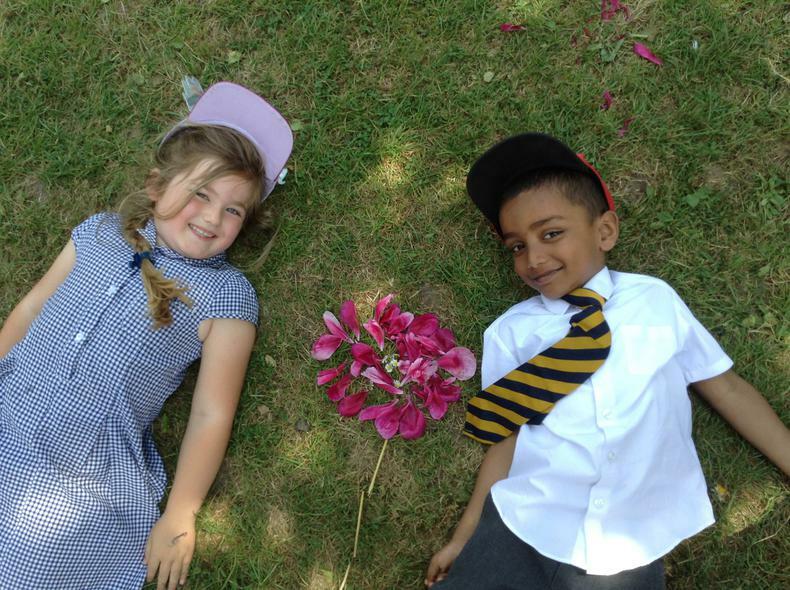 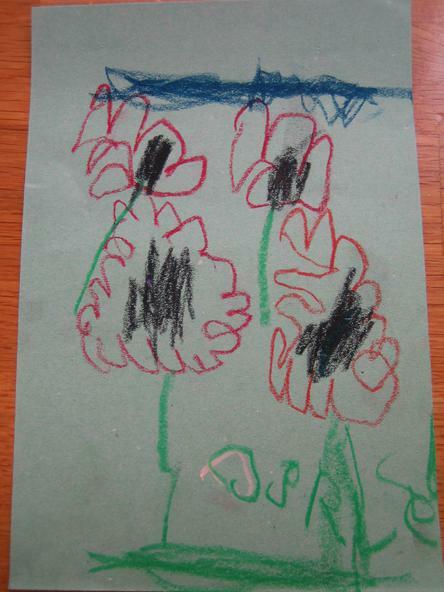 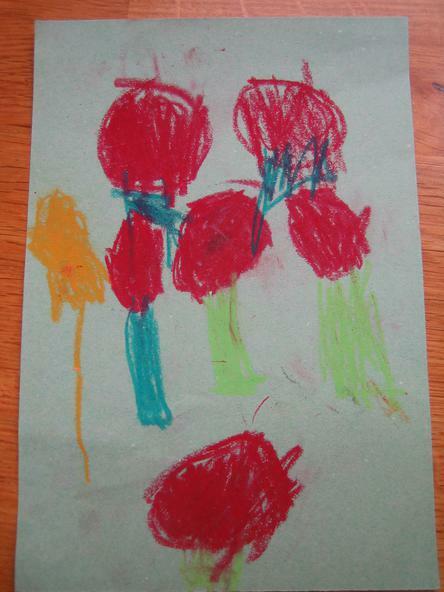 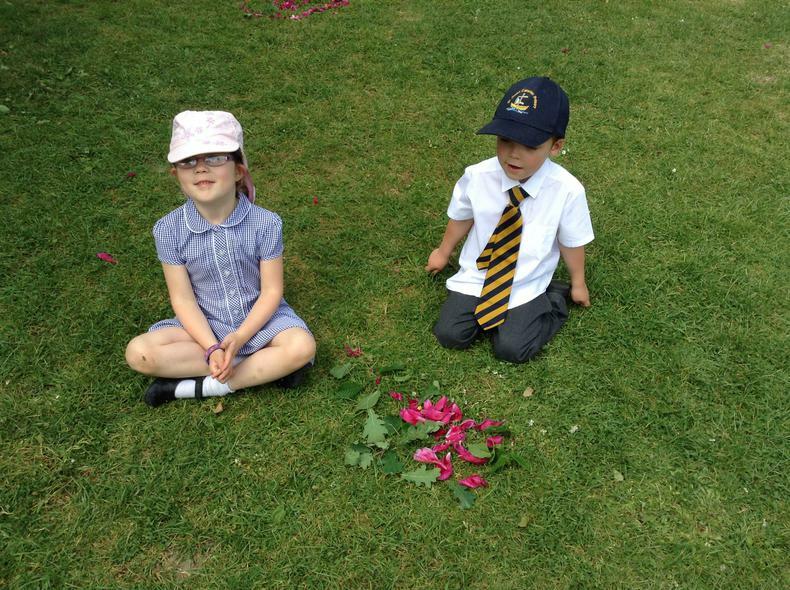 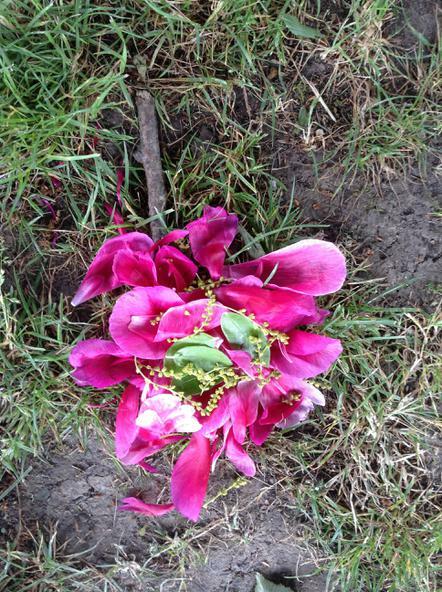 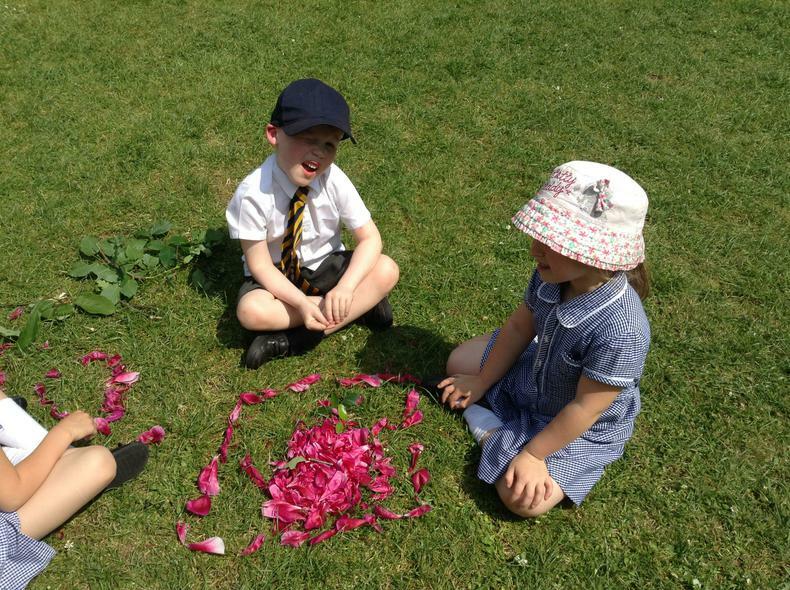 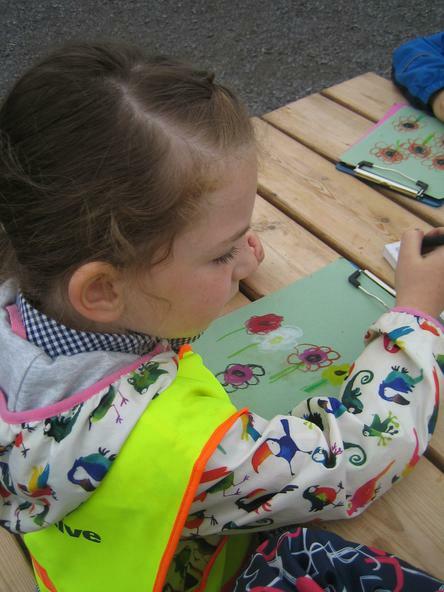 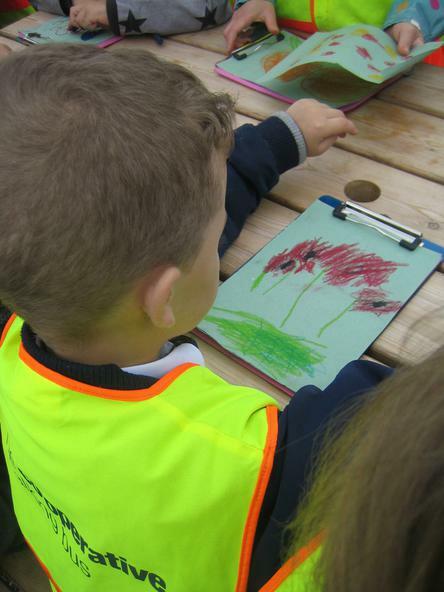 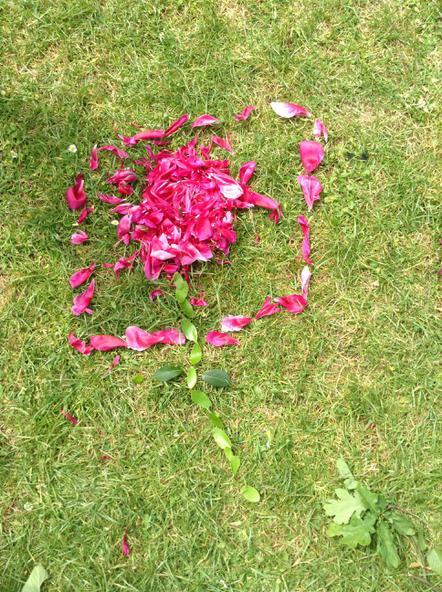 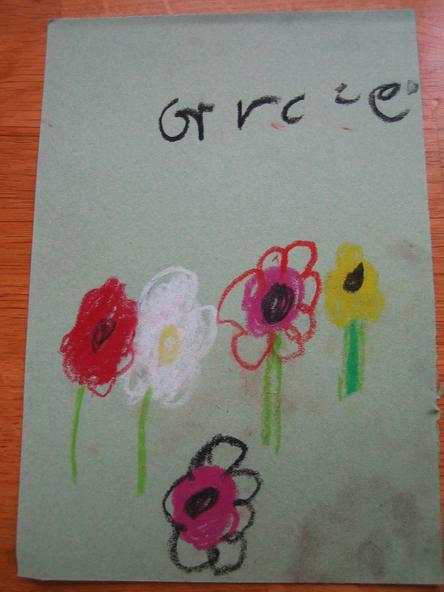 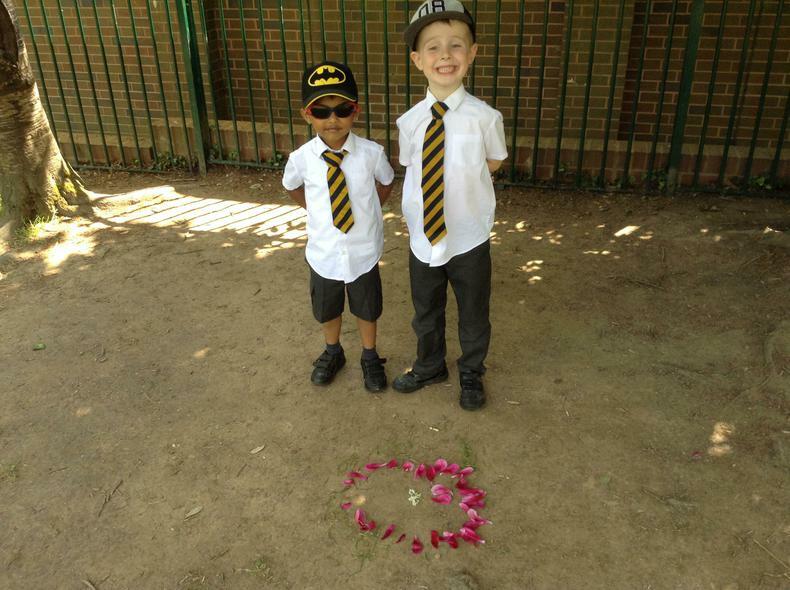 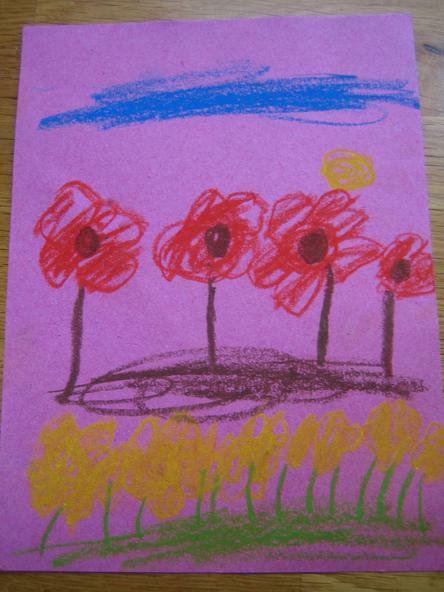 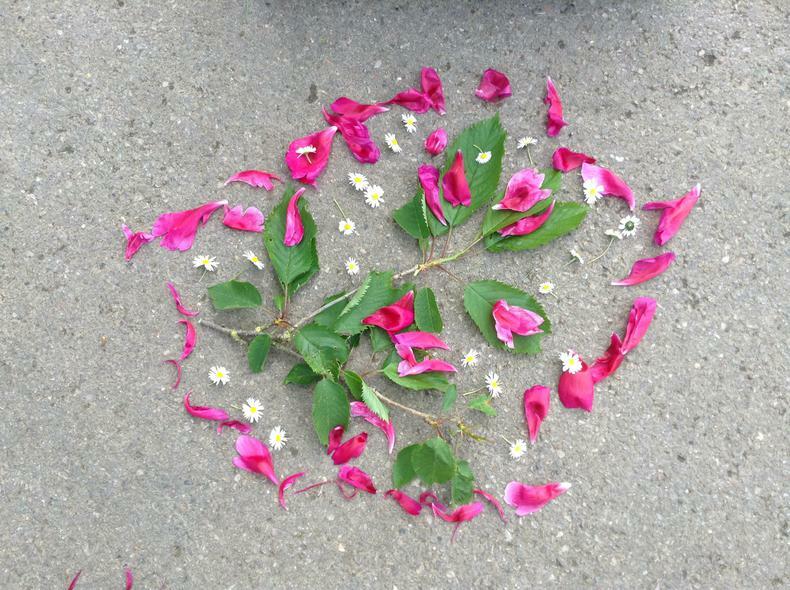 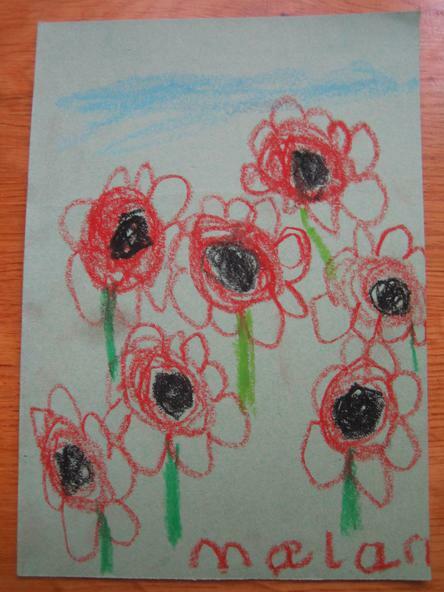 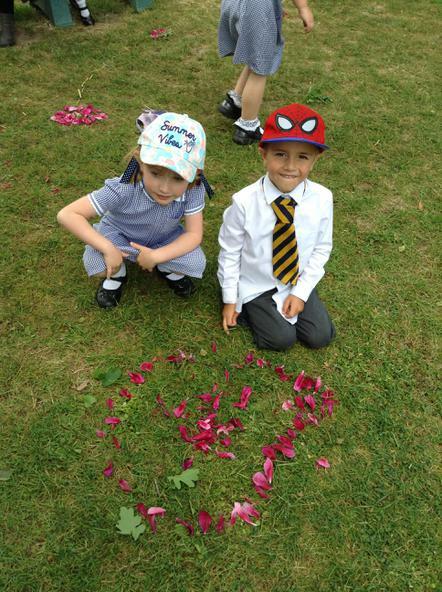 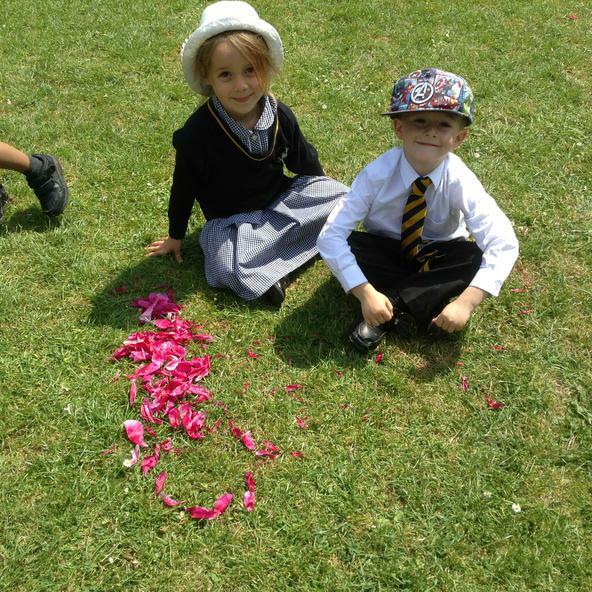 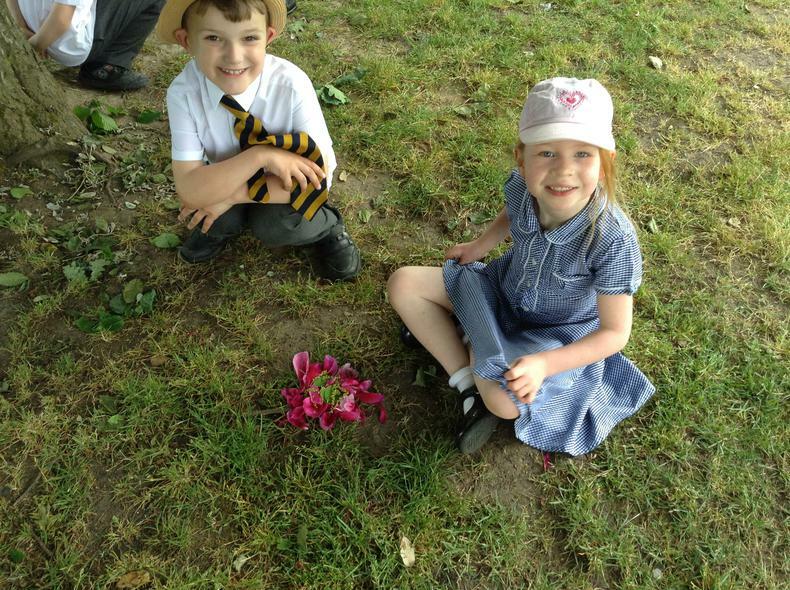 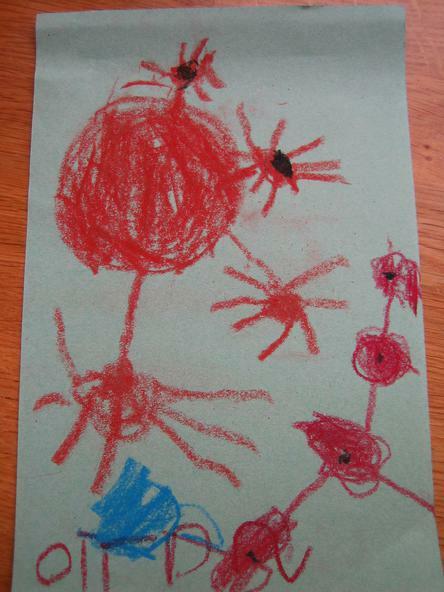 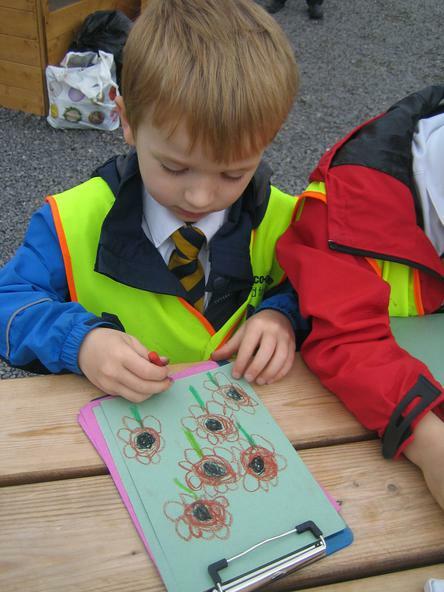 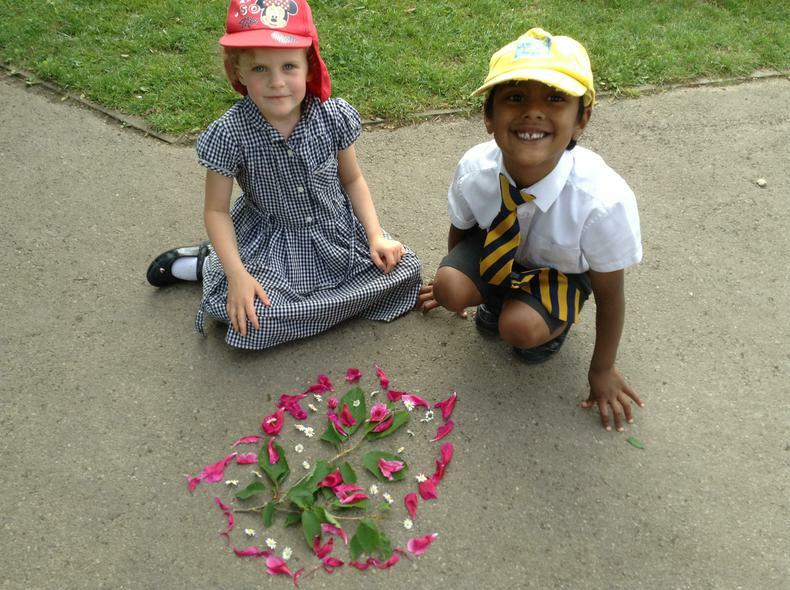 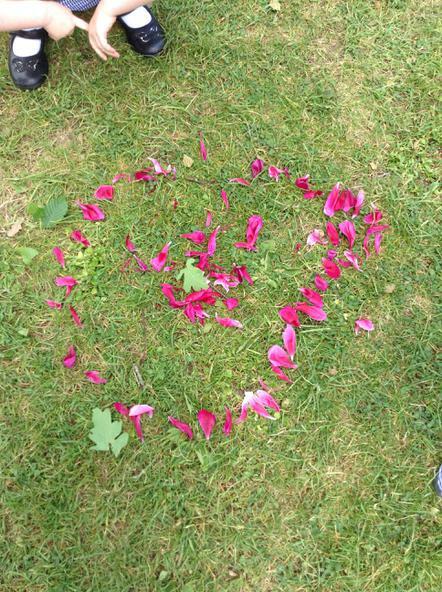 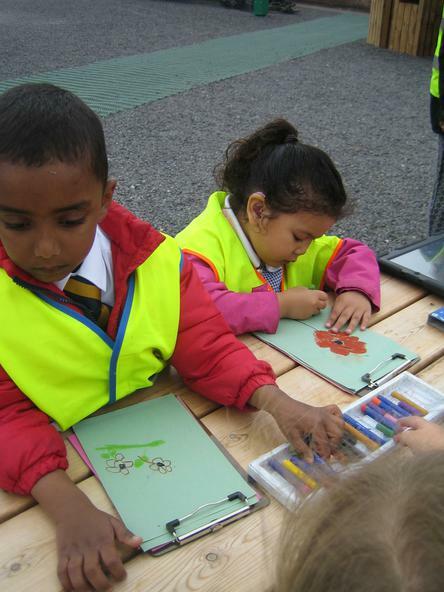 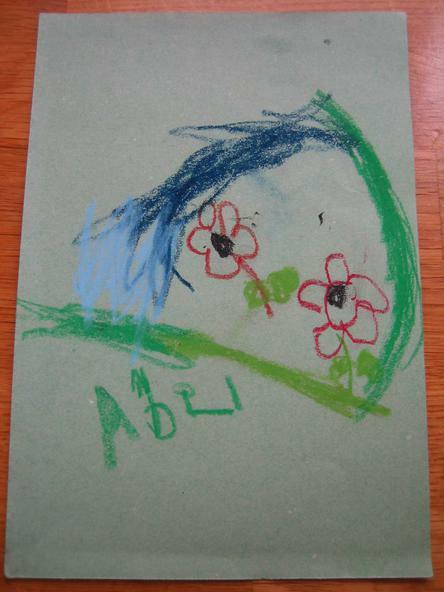 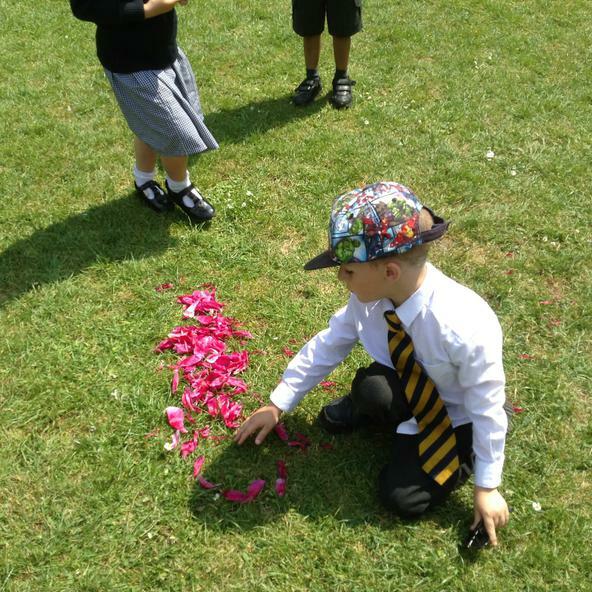 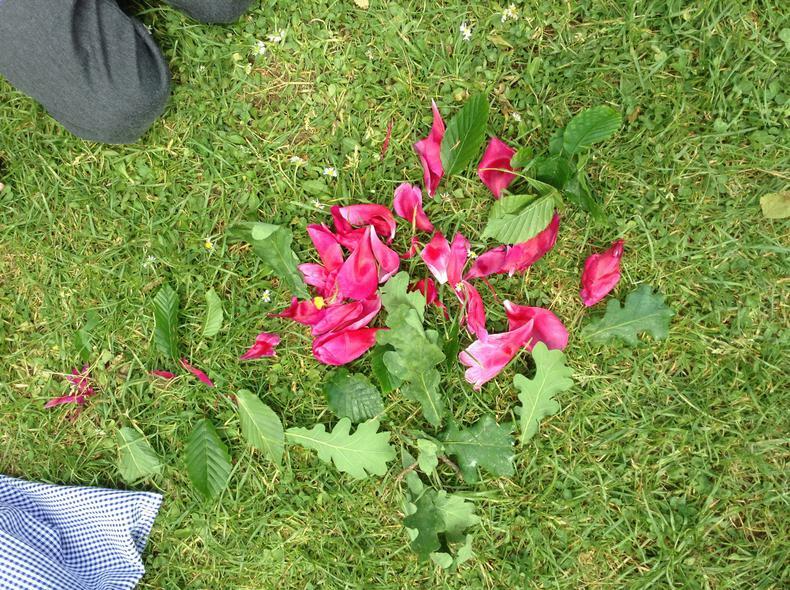 In the afternoon we made our own poppy pictures outside using flower petals.